Pound-for-pound star Terence Crawford has vowed to make a statement against John Molina as he looks to be crowned the 2016 ‘Fighter of the Year’. 29-year-old Crawford clashes with the teak tough Molina this Saturday night, exclusively live on BoxNation, at the CenturyLink Center in his hometown of Omaha, Nebraska. The undefeated WBC and WBO light-welterweight world champion has enjoyed a fruitful year and is ready to end it with a bang as he looks to continue from where he left off following wins over Viktor Postol and Henry Lundy. “I will do what I do best and that’s to make a statement in the ring just as I did in the summer against Viktor Postol,” said Crawford. “I unified the belts and became the lineal champion by dominating and beating a fellow undefeated champion in Postol. That’s when boxing is at its greatest – when the best fight each other and risk it all,” he said. Molina will be no easy pickings as his unanimous points win over Russian assassin Ruslan Provodnikov proved in the summer. The slick Crawford, however, feels a victory this weekend will propel him into the number one spot to be named the best fighter of 2016. “Do I think I should be the fighter of the year? I do,” said Crawford. “In the Postol fight, I went to Las Vegas and scored several knockdowns against an undefeated champion trained by Freddie Roach and unified the titles. Now I’m back in Omaha against a number one contender in Molina,” he said. Having been in tough wars before, including a thriller against Argentine knockout artist Lucas Matthysse, 33-year-old Molina knows he will need to dig deep if he is to overcome a man regarded as one of boxing’s finest talents. “It’s the opportunity of a lifetime for me and the fans are going to see a great fight. I got into this game to fight the best and Terence Crawford is one of the best,” Molina said. “It will be a great crowd because Terence Crawford fans are fans of boxing. But we will disrupt their enthusiasm by upsetting the apple cart,” he said. 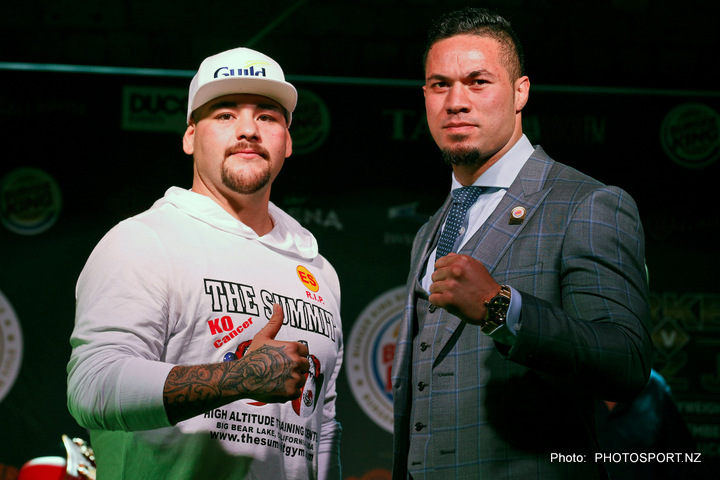 Earlier in the day BoxNation will also be exclusively live from New Zealand as undefeated heavyweights Joseph Parker and Andy Ruiz battle it out for the vacant WBO world title. BoxNation will be live on air from 8am this Saturday as it brings subscribers the enthralling showdown to see who will be the new face of heavyweight boxing, before turning attentions to Crawford and Molina later that night. Crawford v Molina / Parker v Ruiz is exclusively live on BoxNation (Sky/Freeview/Virgin/TalkTalk/EE/Apple TV/Online & App) this Saturday. Buy now at boxnation.com.